When I work out, the last thing I want is my hair sticking to my sweaty neck or getting in the way of my face. It's easy to resort to your basic pony; but for me, a slicked back pony isn't a flattering look. Instead I like to add more volume towards the front of my hairline! This style is one of my go-tos. It's easy, looks effortless, and most importantly, it's super practical! All you have to do is split your hair where it naturally falls. Then add some texture spray along the hair line. 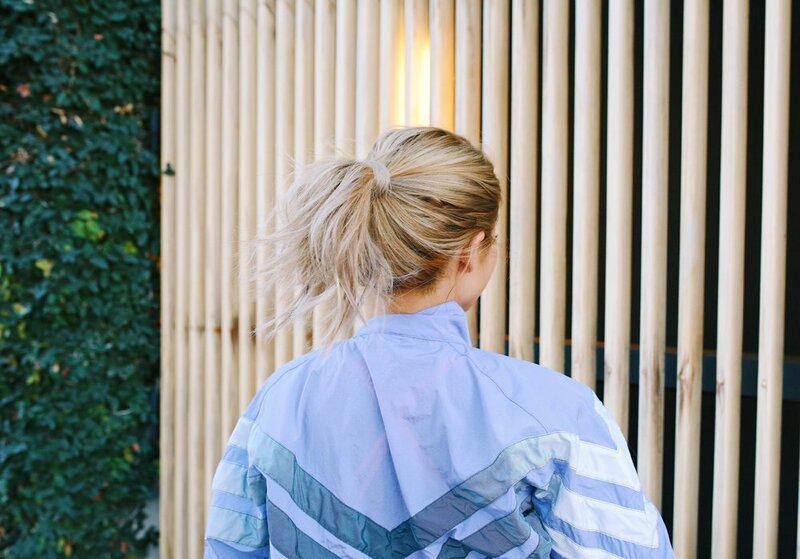 Next with both hands (while keeping the part in tact), pull your hair together as if you're putting your hair up into a pony. Use your hands to comb through the bumps at the top and tie it into a medium high pony. Next grab a 1/2" section of hair from your pony tail, wrap it around your hair tie, and secure it with a bobby pin. 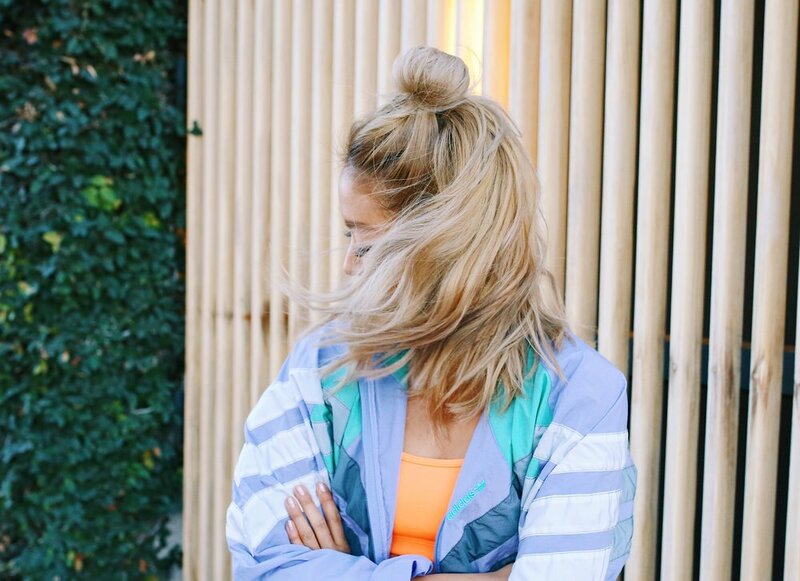 The classic low bun is sweat-proof and pretty much looks good on everyone. 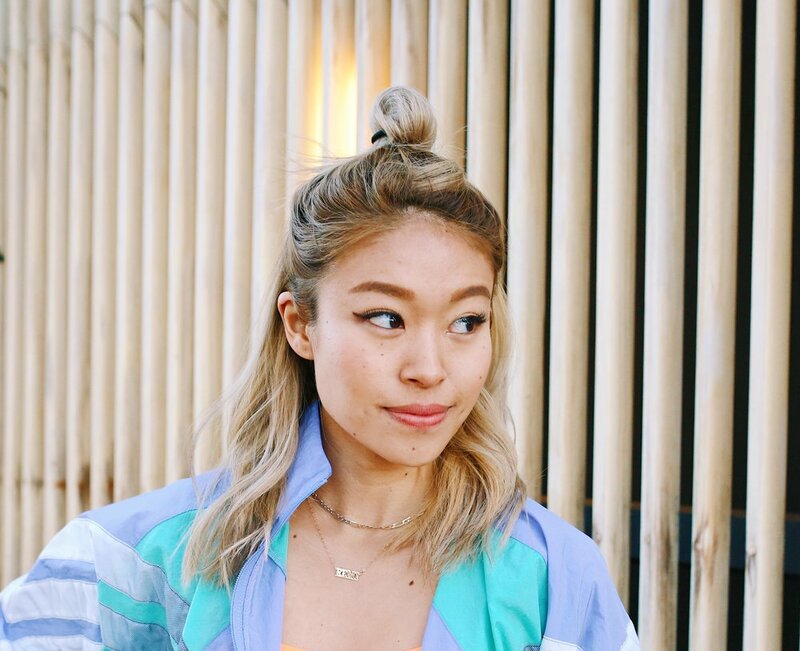 Spray texture spray on your roots and gather your hair up to the nape of your neck (or even slightly to the side), and twist it into a chic bun. Secure with bobby pins if needed. Rub your fingers at the top of your scalp to create volume. 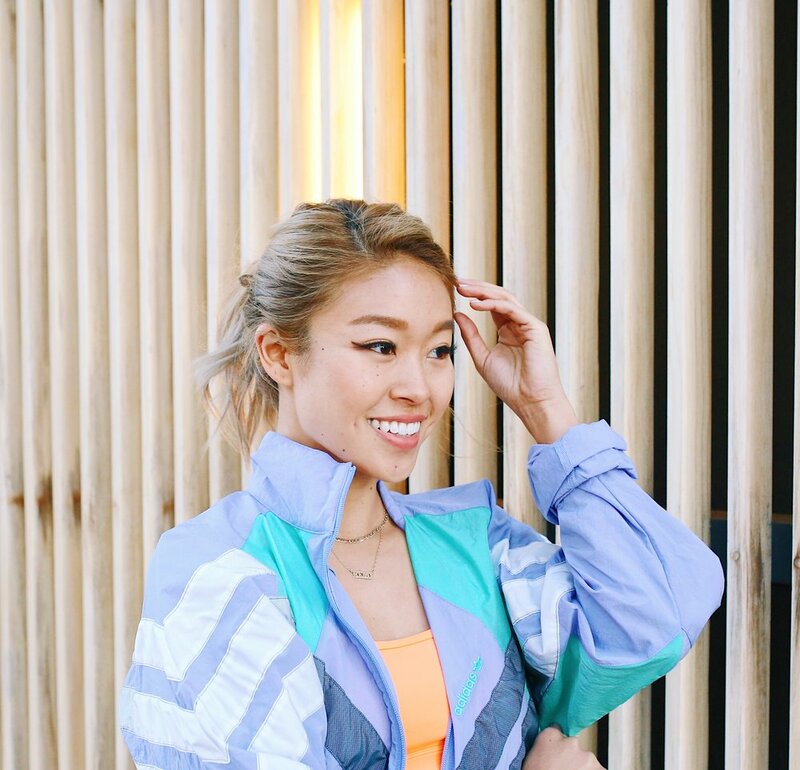 Ideally, your hair is off your neck when you're doing cardio or HIIT, BUT you guys know I rock the top bun A LOT. It's super sporty and easy to do especially when your hair is dirty. I'll usually wear it on weight training days when I know I'm not going to be DRIP in sweat. All you have to do is part your hair where it naturally falls, add a lil texture spray if you need volume, and use your thumbs to gather the hair on the crown of your head with part in tact. 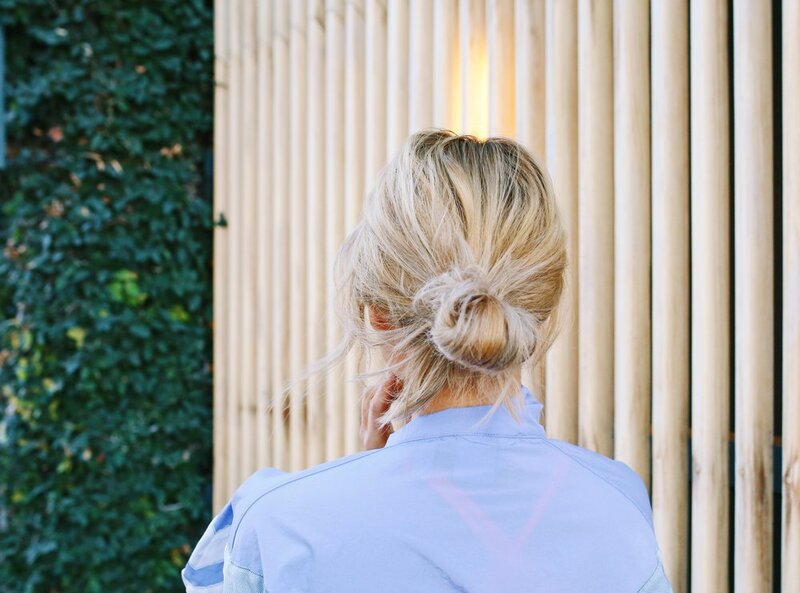 Tie it into a messy bun, but don't worry if it's not perfect - that's what's great about the look! What are your go-to hair styles? Thanks so much for checking out this post and talk soon! !